Large sliding glass doors are a modern twist to the patio door, giving you access to your patio and garden and increasing your living space.. 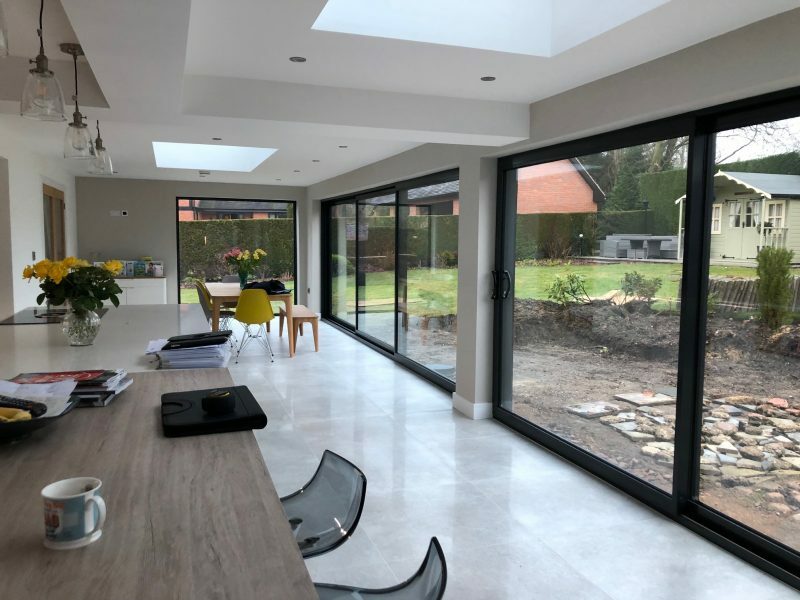 The frame profile gives you slim aluminium patio doors and with large double or triple glazed panels of glass means you will get an uninterrupted sight line of the outdoors. - Letting the natural light flood your property - bringing the outdoors, indoors. 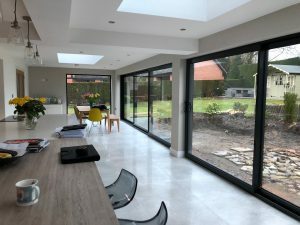 We have an extensive range of doors with large single sliding door panels at up to an amazing 2000mm x 2500mm per slider*, which means you can maximise the glass and span a huge opening. 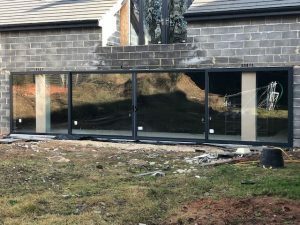 4 Panel aluminium sliding patio doors installed in Nottinghamshire recently, leading into a room for a swimming pool. 2 fixed panels and 2 sliding doors. 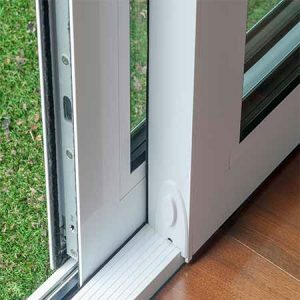 The sliding door sit on high quality stainless steel rollers, so you are assured of easy opening for the lifetime of the doors. There is also a soft close option available. 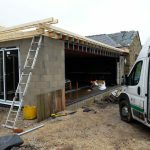 Where you have a wide span we can install a 3 track sliding patio doors. By installing 3 large sliding doors you will have the maximum opening when they are pushed back. This will give you an opening of two thirds of the total span, which really is an uninterrupted view into your garden. Slim aluminium profile means less view obscured by the frame. a selection of handles are available.